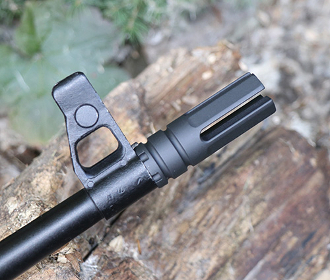 The MDC AK Flash Hider is a direct replacement for the standard 14x1 LH slant brake. The 4 prong consturction provides superior falsh supression. The FH4-AK 4-Prong Flash hider is a highly effective muzzle device designed specifically for the AK platform. 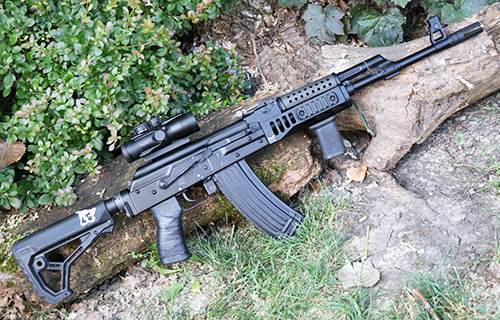 The FH4-AK flash hider features multiple detent positions, allowing the user to find the perfect fit and position for your AK platform. Combined with our four prong design & Black Nitride finish, this makes the FH4-AK the ultimate AK flash hider. Precision machined in house from US mill-certified heat-treated stainless steel bar stock. 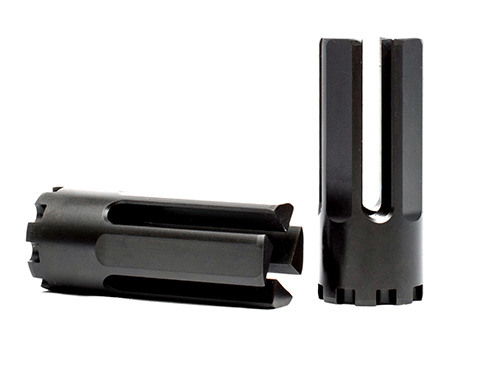 Flash hider will clear any projectile up to .30 caliber (0.311").